Sellieve’s Question: should we mention possible death as a transit’s outcome? Astrologer Sellieve Neptune has form when it comes to asking me challenging questions! But I appreciate them; it is part of the job of experienced teachers and practitioners, in my opinion, to attempt to guide and support younger members of our profession in the tough but rewarding process of becoming grounded, responsible, effective and compassionate practitioners. A vital part of that evolutionary process is the recognising of both our own limitations – and those of the art of astrology itself. “…A long time ago – I no longer have the chart or notes for reference but still remember the situation – a woman with Chiron conjunct her Moon consulted me not long after her 50th birthday. Chiron had recently returned to that natal conjunction. I recall that Saturn by transit was also probably involved. I asked her whether there was a difficult issue currently involving a key female in her life, and she said yes, that her mother-in-law to whom she had been very close had recently died and she was having difficulty getting over this loss; her deep grief seemed to her to be out of proportion. From Sellieve: While reading this, it dawned on me that someone I know will have transiting Chiron conjunct their moon after their Chiron return, and their mother might die when this transit happens, not sure if I should tell them or how to counsel them thru this? I’m welcome to hear anyone’s thoughts. 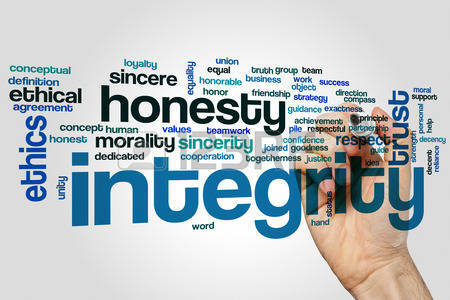 From Anne: Sellieve, once again you’ve raised an ethical question which deserves a considered reply outwith comment boxes. That ancient basic guideline which we share with all the caring professions is still: ‘Do no harm’. We can describe clearly to our clients the essence of a planetary combination eg Chiron/Moon by transit: but the branches which arise from that core essence are many and varied although all tie back to the core theme/s. So we are not in any position to select one branch and offer it to the client as a possibility – or even worse, a definite outcome! – if it is something which may raise fear/be undermining or damaging. It is another matter when (as in the example I gave in this post) the client brings a branch which for them has manifested as a death. It is then our job to help them explore this event in such a way that they gain some understanding, and are able to go forward feeling empowered rather than undermined. My recollection, regarding the example quoted above, is that I sketched out a core description of transiting Chiron returning to a Chiron Moon Saturn combination, by saying something to this effect: “Your natal pattern is certainly challenging: it can manifest along a spectrum of possibilities from maternal separation or loss of some kind and the need to heal from that wounding, to having a mother whose disciplined professional work as a healer of some kind –perhaps a medical practitioner – absorbed more of her time than you as a child felt was enough to meet your needs. At that point, she told me that she was in fact a nurse – and that her own mother had died in the first year of her life. I then asked her, looking at Chiron’s return to that pattern, whether anything connecting to that early loss had happened in the last few months. She replied that her mother-in-law, to whom she had grown very close, had died recently, triggering her overwhelming grief which she seemed unable to deal with. We were then able to look at how this recent death had opened the floodgates, as it were, to very old bewilderment, pain and fear still unresolved from her own mother’s death which she could now begin to see was finding its expression in her adult life through the death of her beloved mother- in-law. Our discussion helped her to put her current circumstances into a more comprehensible perspective, and I was able to refer her on to a very experienced bereavement counsellor since she felt that she needed to do some old grief work on her past as well as on the present. So, Sellieve, I think you could – assuming that the person you mention is a possible client, coming to consult you formally – sketch out in broad terms what her particular Chiron pattern may be, then ask her for feedback so that you can work together on the information she feeds back to you. You could then find out what her current circumstances are in relation to her mother – or indeed key women in her life, or her own emotional state, and take the Chiron Return discussion from there. In my experience, you follow the client’s lead, and judge what you say – or do not say – according to that. I would certainly not offer the possibility that the client’s mother might die, and if the client, her mother or any of her female friends have serious health issues at this time, I would not venture to discuss any medical condition but refer the person on to an experienced medical astrologer and/or a medical practitioner. It is so important for us to know our limitations, and work within them. That’s why I consider it essential for practising astrologers to have at the very least some formal counselling training, and professional supervision with an experienced colleague. I hope, Sellieve, that this necessarily limited discussion has at least opened out some of the issues you presented, and given you some pointers. “…We live in very difficult times, and the world at large is in turmoil. The transits are difficult ones, too. Many astrology clients are fearful about their future but hope for good news, while astrologers struggle to make helpful predictions. Sometimes, however, the things we say can leave them even more anxious than they were before. What, then, would be a healing and empowering perspective on the concerns they bring to a session? 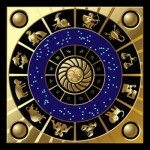 It’s extremely important that astrologers and their clients both understand astrology’s limitations. Natal chart features and transits to them may suggest what’s going on, but they do not set the outcome in stone. Any given placement or combination has many expressions—some challenging, some positive, yet all related. There’s no way of predicting precisely how people will express those features, for much depends on their character, history, spiritual evolution, and choices. What a consultation can do is to help them become aware of their options. What does Chiron mean to you? Have you experienced his symbolic energy as healing? Wounding? As the ‘inconvenient benefic’, kicking open doors to places you’d never have thought to go? Does he simply not register as any kind of recognisable influence in your life or those around you? Or have you simply not given him much thought as you work with your horoscope in relation to your life? Lots of questions. In this meditative 12th house time just before the Pisces New Moon tomorrow, I am very much engaged with them, being all too aware of Chiron’s approaching the end of his long 2010-18 sojourn in Pisces. Any time just before an important heavenly body shifts from one sign to another is a liminal time – a threshold time, a 12th house time of final dissolution of the old cycle without the energies of the new yet being clearly evident. Chiron moves into Aries on 17th April 2018, dipping back into Pisces for a few months in the autumn of that year, settling into his journey through Aries on February 18th 2019, remaining there until 2026/7 when he shifts into Taurus. Chiron’s orbit is very irregular, and if you’d like to go into the detail of this, Cafe Astrology is the place to go for some very clear tables. However, his return cycle is a steady 50 years: we all have a Chiron Return at that age. This return is especially significant since it represents the end of a whole 50 year period from 1968/9 when Chiron was last in Aries. A cycle is completing at the present time, and the shift from Pisces the last sign of the zodiac to Aries the first is always more radical than any other – and fierier, more disruptive and far-reaching at a collective level. 50 years back from 1968/9 takes us to 1918/19 and the turbulent aftermath of the First World War. Some of us still vividly remember 1968/9 with the student riots in Europe, the protests in the USA against the Vietnam war, and the assassinations of Robert Kennedy and Martin Luther King against the turbulent backdrop of the Civil Rights movement. We also remember that wonderfully pioneering event of the Moon landing, a stunning example of humanity’s kicking open a door to a place no-one throughout our whole history until that moment thought we would go. No doubt there will be much more speculation across our various media outlets regarding what this shift may mean both collectively and individually. It has already begun, as a quick google search will testify! However, I have found my reflections returning me to contemplation of first principles: the questions at the start of this post are in fact my own interrogations both of my experience of Chiron’s symbolic energies in my personal life and my professional practice. 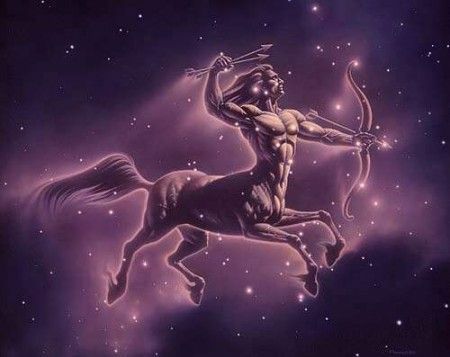 In response to those questions, on looking back I can say that I have seen Chiron, in his popular ‘wounded healer’ mode, most notably in colleagues and acquaintances with Chiron prominent in their charts eg 2nd, 6th or 10th Houses and/or strongly linked with planets, Nodes and Angles. They have found their way into caring, alternative healing or medical/nursing contexts, usually propelled there by family and/or personal wounding they were consciously or unconsciously seeking to assuage. I have also seen situations where the wounding dimension was well to the fore and people struggled to see any healing in what they were experiencing – quite often at the Chiron Return point, when the whole horoscope’s Chiron aspects are triggered. This is where as an astrologer it is so vital to tread carefully in seeking to offer a context to deep pain and suffering which may offer some comfort and hope without raising unrealistic expectations – and to know when we are coming up against our own limitations eg in lack of specific expertise in dealing with questions of health and healing. Here, it is important to have a network of reputable and experienced practitioners in various healing modalities who might be able to offer some support which builds on what one has hopefully been able to clarify for the client. It was the late astrologer A.L. Morrison who coined the term ‘inconvenient benefic’ as a facet of Chiron’s actions – I can see on considering the placement of Chiron in our solar system, his source for this interpretation. Chiron appeared in 1977 between the orbits of Saturn and Uranus. He can be seen as the one who unlocked the door between the safe boundaries of the known system contained by Saturn, lord of form and structure, security and stability and the outer planetary realm of Uranus –lord of misrule, breaker of custom, known code and convention. It is very threatening to be kicked out of safe territory into the unpredictable and unknown. But often it is just what we need although we don’t appreciate it at the time. I have certainly seen this Chironian dimension in action by transit or progression with clients who turn up for readings after a long process where life has given them a good kicking (sound familiar, anyone?!) but who emerge out the other end realising that the kicking was necessary to get them to move in a direction they would not have been brave (or foolish!) enough to see held considerable positive benefits for them. It makes sense that Chiron doesn’t feature very strongly in a person’s life if not prominent by horoscope placement or by aspect. However, even in such cases, if Chiron directly transits any of the personal planets or Angles, it is very unusual for there to be a ‘dumb note’ struck. It also seems to me that the Chiron Return at age 50 registers with everyone, but especially strongly when Chiron is a powerfully placed and aspected symbol. A long time ago – I no longer have the chart or notes for reference but still remember the situation – a woman with Chiron conjunct her Moon consulted me not long after her 50th birthday. Chiron had recently returned to that natal conjunction. I recall that Saturn by transit was also probably involved. I asked her whether there was a difficult issue currently involving a key female in her life, and she said yes, that her mother-in-law to whom she had been very close had recently died and she was having difficulty getting over this loss; her deep grief seemed to her to be out of proportion. I then asked if she had had a similar loss in the first year of her life. It turned out that her own mother had died when she was less than a year old, and that she had felt bereft of mothering until her mother-in -law came into her life, hence her great difficulty with the current situation. Both the client and I were deeply moved by how powerfully the Moon/Chiron symbolism had spoken on Chiron’s return to its natal position. But realising this also helped the client to make more sense of the depth of her grief, and hopefully to process it more consciously. In approaching what Chiron’s symbolic action may bring in our own and clients’ horoscopes, it seems to me to make sense to hold those several facets I have described in this post in mind as we reflect. However, there is a deep layer which has meant more to me than any other, which I first came across in an article by Liz Greene called ‘Wounding and the will to live’ in Issue 3 of Apollon, the Journal of Psychological Astrology (1999). This article is now available on Astrodienst, and I would strongly suggest that any readers interested in exploring Chiron’s meaning at profound depth should read it. My understanding of what she is saying is that where Chiron appears in our birth charts represents our ‘chip’ of the accumulated woundedness of humanity over the ages. It is not our fault that we have this particular ‘chip’ allocated to us, any more than it was the centaur Chiron’s fault to be in the wrong place at the wrong time in the centaurs’ battle with the Lapiths during which he was grazed in the thigh by a poisoned arrow which would not heal because it was dipped in the blood of the Hydra. We are not directly responsible for our personal share of humanity’s wounding. But if we can work with as much honesty and humility, and as little bitterness as possible with that share as indicated by Chiron’s placement in our natal chart, then we can begin to transform that woundedness into something which can be offered for the healing of others. This process can ultimately help us to grow enough for our personal wound to become an increasingly smaller part of who it is we are able to become. Why is the zodiac sign of Virgo called the virgin? 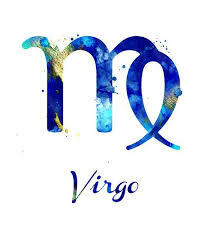 Why is the sign of Virgo called the virgin? This question raises the interesting issue of how the usage and meaning of words changes from one historical period/cultural phase to another. Within our current culture the word virgin when applied to humans generally means sexually intact. However, in ancient times when matriarchal religions were practised, the word virgin and the astrological sign of Virgo held a deeper and more complex set of meanings. For example, the priestesses who served the ancient virgin goddesses Atargatis and Artemis were anything but virgin in our contemporary sense of the word. They were women who belonged to themselves and the goddess(es), whose duties to the temple were paramount and who owed allegiance to no particular male partner. Indeed, it was commonplace with those priestesses who had children to foster them out. They were too busy with their sacred duties to have much time for motherhood. In the chapter “Myth and the Zodiac”, pp 211-220, Liz Greene offers a very full account of the complex, paradoxical mythology and symbolism connected to the sign of Virgo. I commend it to you! If you’d like to read some more factual aspects of this topic, try this Wikipedia link: http://en.wikipedia.org/wiki/Virgo_(astrology). Posted in An Astrological Miscellany: of cusps, virgins, atomic scientists, Muhammad Ali and much, much more...(13 articles), Why is Virgo called the virgin ?